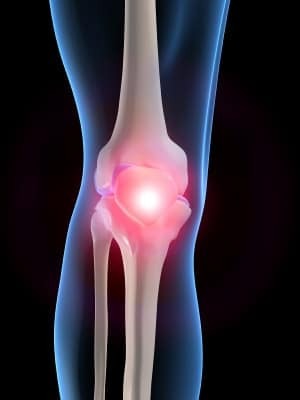 Acupuncture helps knees – research shows acupuncture is a cost-effective treatment for osteo-arthritis of the knee. Two new studies suggest acupuncture may be an effective aid to osteo-arthritis of the knee and a credible alternative to knee replacement. Acupuncture has benefits for knee osteoarthritis. A three-armed randomised controlled trial carried out by Greek investigators has shown that a combination of acupuncture plus non-steroidal anti-inflammatory drugs (NSAIDs) is significantly more effective for chronic pain due to knee osteoarthritis (OA) than either sham (placebo) acupuncture plus NSAIDs or NSAIDs alone. A total of 120 patients with knee OA were randomly allocated to three groups: Group I was treated with acupuncture plus etoricoxib, Group II with sham acupuncture plus etoricoxib and Group III with etoricoxib only. Group I exhibited statistically significant improvements in all but one primary and secondary outcome measures, compared with the other treatment groups, at four, eight and twelve weeks. These included osteoarthritis index scores, visual analogue pain scores and changes in pain at trigger points, measured by algometer (a pressure recording device). (Acupuncture as an adjunctive therapy to pharmacological treatment in patients with chronic pain due to osteoarthritis of the knee: a 3-armed, randomized, placebo-controlled trial. Pain. 2012 Aug;153(8):1720-6). Acupuncture offers GP’s a low cost alternative to knee surgery. A study by Dr Adrian White et al, at Pymouth university, suggests that acupuncture might save each local GP commissioning group an estimated £100,000 per year. The researchers have found that acupuncture offers an acceptable, low-cost alternative to knee replacement for sufferers of osteoarthritis (OA). Of 114 patients offered acupuncture for knee OA, 90 accepted and were referred to two knee pain clinics for group acupuncture, where they were followed up for two years. All patients (average age 71) had severe symptoms, including constant pain and inability to walk long distances, and were eligible for knee replacement surgery. The multibed clinics were run in two GP practices by nurses trained in acupuncture. Patients were given acupuncture once a week for a month, after which frequency was reduced to one session every six weeks. After one year, 41 patients were still attending, and after two years, 31 were still receiving treatment. Each patient received an average of 16.5 treatments. Subjective symptom scores (measured by MYMOP), showed clinically significant improvements in pain (4.2 to 2.9), stiffness (4.1 to 2.9), and functional capacity (4.5 to 3.3), after one month of treatment and these improvements persisted over the two-year follow-up period. Analysis of the cost consequences of introducing acupuncture suggested that it could save each local GP commissioning group an estimated £100,000 per year. Rates of total knee replacements were found to be lower (by 10%), in the commissioning group using acupuncture compared with neighbouring groups. (Group acupuncture for knee pain: evaluation of a cost-saving initiative in the health service. Acupunct Med. 2012 Aug 20;30:170-175. This entry was posted in Acupuncture, Placebo, Research and tagged acupuncture, arthritis, knee, placebo, research, surgery. Bookmark the permalink. « A cup of tea a day keeps the doctor away.